In a hotel room in Detroit, a 78-year-old woman is rasping down the phone. 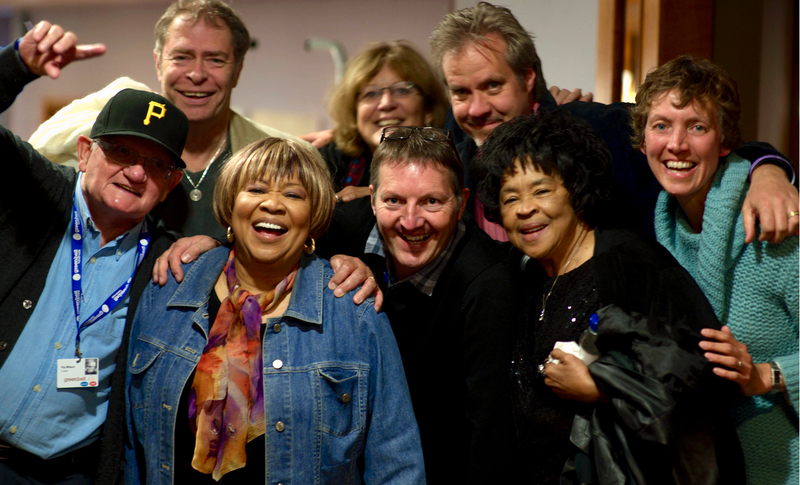 She can’t quite hear every word I say, as she spent last night in a loud theatre with her old boyfriend, Bob: “We talk about old times.” Bob is Bob Dylan; Mavis Staples supported him on his most recent American tour. Staples was born in 1939, at that point the youngest of four children, on the musically thrilling south side of Chicago (Sam Cooke and Lou Rawls lived nearby). Staples’ mother, Oceola, worked in factories and as a cleaner, while her father, Roebuck (known as Pops), was in abattoirs and steel mills; he had been a sharecropper in Mississippi before that, where his grandparents had been slaves. Their first concert was at Staples’ aunt’s church on Chicago’s 33rd Street. “We got three encores. I still remember that feeling.” Family singing has always been Staples’ favourite thing. “It felt like home. There was no need to feel self-conscious or afraid.” Later, other family groups told her they had started singing together because of them, including the Jackson Five, the Pointer Sisters and Sly and the Family Stone. “He was so shy when we met; too timid to say a word,” Staples recalls. She started writing to him instead and he put her words into songs. One of those lines (“We went to church on Sunday mornin’ / All dressed up looking fine”) begins a verse of Blood Is Thicker Than Time, which is her favourite song that he wrote for her. Here she is at The Greenbelt Festival some years ago with me + group of friends & workers (+her older sister) fantastic gig too. Staples still loves new music – she was pleased that the country artist Rhiannon Giddens released an album, Freedom Highway, inspired by the Staple Singers – and she also has her eye on other collaborators. “I love Chance the Rapper. What he does is a lot of gospel, really. I’d love to do stuff with him.” But for now, I Give You Power still speaks for her. “That song is right on time. I’ll keep singing it.